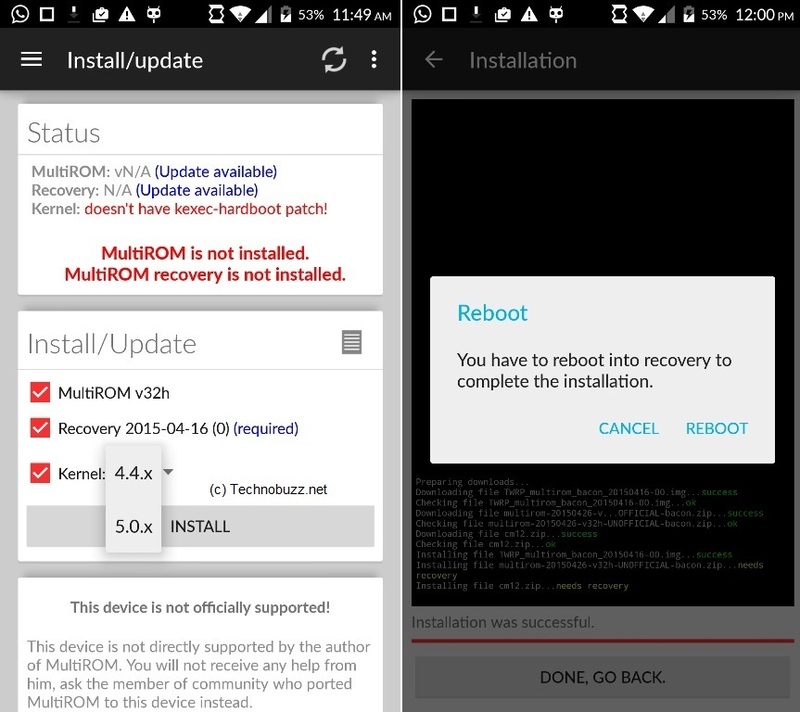 Today, here in this tutorial we’ll show you how to install the MultiROM on Oneplus One and How to install custom ROMs as your secondary ROM. Or we can say how run two different ROMs on your Oneplus One. If you want to dual-boot or multi-boot custom ROMs on your Oneplus, you need a multuROM app which allows you to run multiple ROMs on your phone. Once the MultiROM App is installed on your phone, you can easily install custom ROMS on your phone without removing your primary ROM. The guide is pretty simple and takes a few minutes to setup everything. 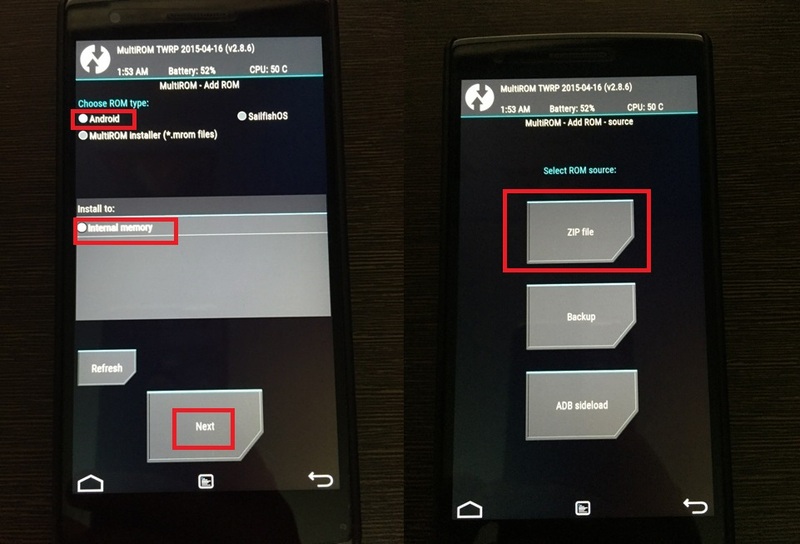 MultiROM is the best and safest way to boot different ROMs on your OnePlus One. To get started you need a rooted Oneplus one, don’t know about root and why to root, check out the benefits of rooting here. 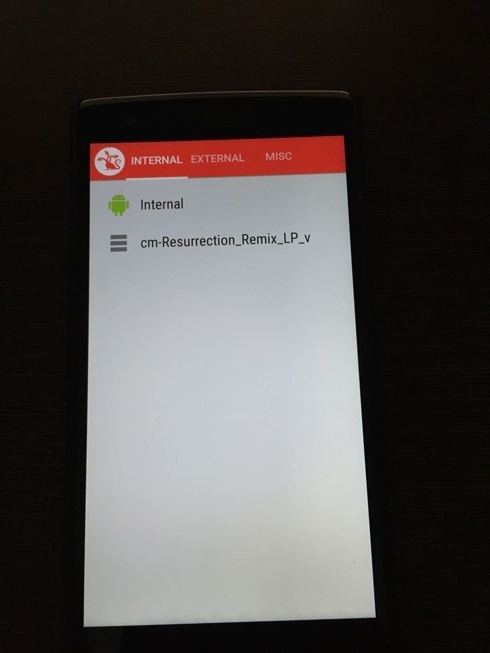 To root oneplus one read our guide here. After that follow all the below mention instruction one by one on your phone. Step 1. 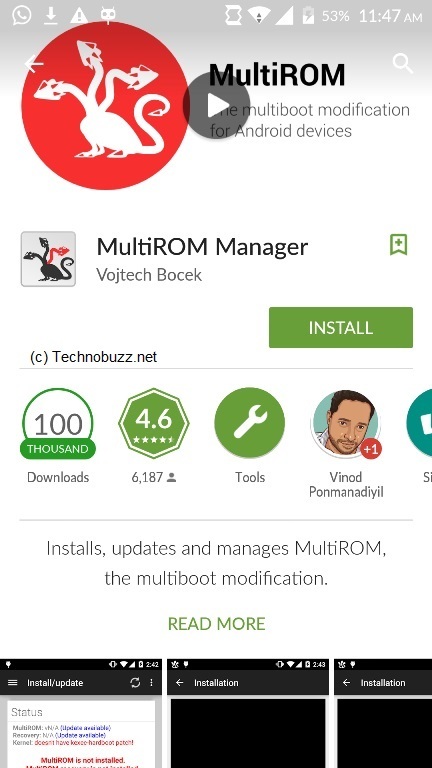 Visit Google Play store on your phone and install the MultiROM Manager app on your phone. 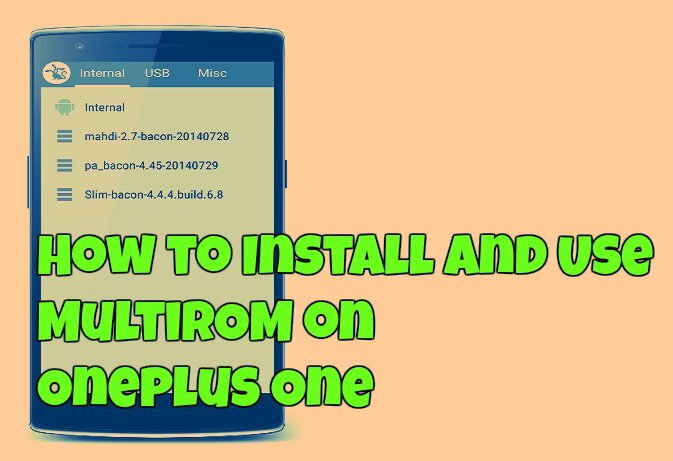 This will help you to install the three files of the MutiROm on your phone. Step 2. Now run the app on your phone and select the OS version which you are using Like Kitkat 4.4 and Lollipop 5.0. 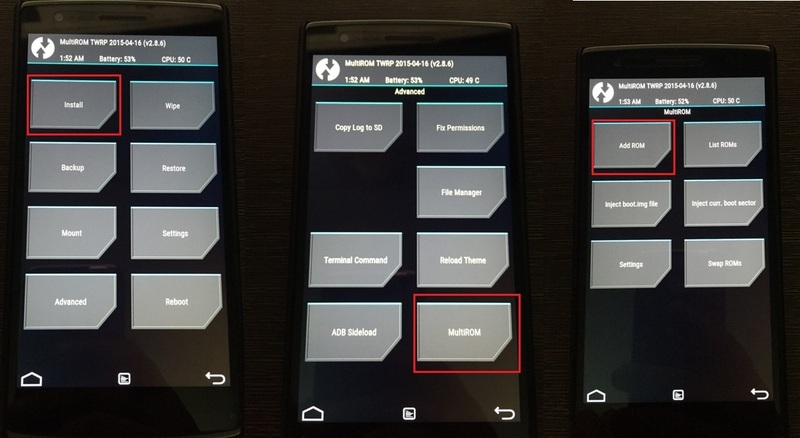 And the app will download these three files on your phone MultiROM, Modified recovery, and patched kernel. Once the files are downloaded, it will ask you to reboot the phone in recovery, Select Reboot. Step 3. Now phone will reboot in recovery and flash the downloaded file automatically. Once completed the phone will reboot again and this time your will see the “Auto Boot” option on the boot screen. That means the MutROM file are successfully installed on your phone. The most difficult part of the process is over. Now you simply have to download and install all the custom ROMs you want. Step 1. First download your custom ROM which you want to use as your secondary ROM. List of Oneplus Custom ROMS. And save the ROM zip file on your phone and remember the location where you saved. Step 2. Now boot your phone in recovery mode. To do this switch off your phone and Press Volume Down + Power Button to boot. Step 3. Once you are on the main recovery screen. Go to Advanced >MultiROM > Add ROM. Step 4. Now from the next screen, Select Internal Memory > ZIP File. Step 5. Now Select the ROM which you saved on your phone in step 1 and to install it “Swipe to Confirm”. See screenshot. Step 6. Now Flashing process will start and once completed tap on the “Reboot System” button to reboot your phone. Step 7. Now you will see the “Auto Boot” option on the boot screen and tap on it. And you will see the new screen on your phone. From here you have to select the ROM which you want to use. Internal Means your Primary ROM and another One is the Custom ROM. Tap any of them to boot. 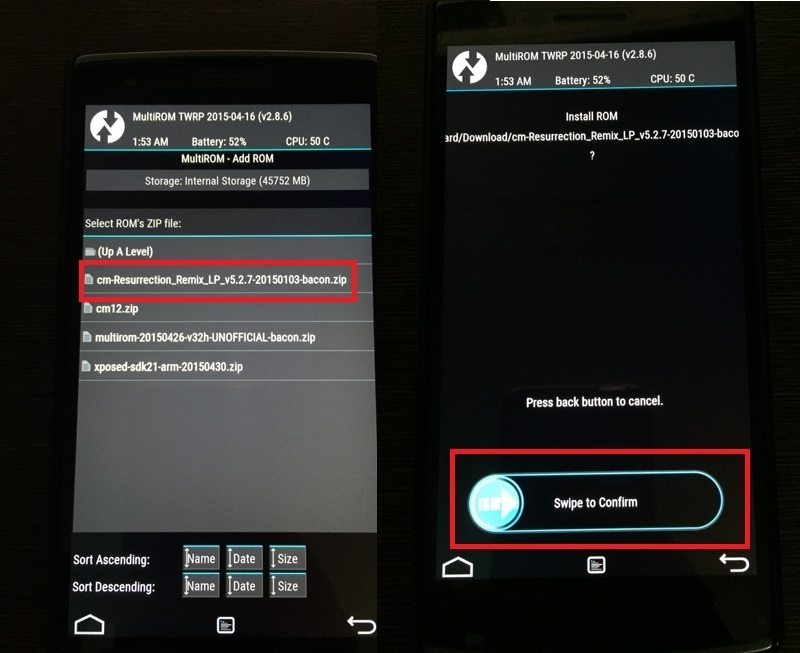 With this way, you can install any ROM on your phone without deleting your primary ROM.